US Special Envoy for International Negotiations says Hamas is inciting against Israel at the expense of Gazans. Jason Greenblatt, the US Special Envoy for International Negotiations, on Thursday blasted Gaza’s Hamas terrorist rulers and accused them of continuing the incitement against Israel. “As the wheels literally come off in Gaza, Hamas doubles down on vicious incitement while the Palestinian people pay the price. The Palestinian people deserve leadership that will give them a chance for a future of peace and prosperity not bloodshed and violence,” tweeted Greenblatt. His tweet included a link to an Associated Press article entitled “In Gaza, tire shortage hits motorists but not protesters”. The article discusses how Gazans are suffering from a shortage of car tires, which are used during the violent “March of the Return” riots along the Gaza-Israel border every Friday. Demonstrators set fire to the tires, then toss them toward Israeli troops across the border. The violence has resulted in Israel halting tire imports into the strip, sending prices skyrocketing and forcing Gaza motorists to find creative solutions to keep their vehicles on the road, according to AP. The violent border riots have been occurring every week since March 30. In addition to attempting to infiltrate into Israel, the Arab rioters have been using kites and balloons with explosives attached in order to set fire to Israeli property. The protests have been openly encouraged by Gaza’s Hamas terrorist rulers. 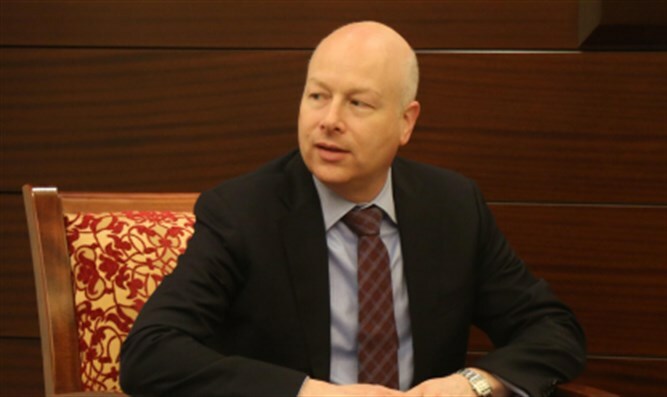 Greenblatt has been highly critical of Hamas and has called for the Palestinian Authority (PA), headed by Mahmoud Abbas, to be a part of the solution in the coastal enclave.